This is a high temp tape that is used mainly for powder coat masking. It removes cleanly without leaving a residue for temperatures up to 400 degrees Fahrenheit. Can also be supplied in masking dots or custom die-cuts on a roll. This also is a high temp tape but has a much thicker Silicone adhesive coating than the green PET tape. This tape is used for flash breaking and high temp masking. 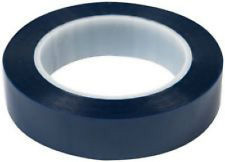 Our blue PET tape is equivalent to DeWAL’s D-Wrap tape. Can also be supplied in masking dots or custom die-cuts on a roll. This is a higher temp tape than the PET tapes and can be used in temperatures up to 500 degrees Fahrenheit. 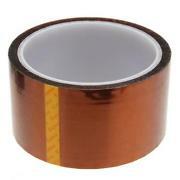 This tape is mainly used for insulation, electronics and high temp masking. Can also be supplied in masking dots or custom die-cuts on a roll. This sublimation tape is used in the heat press industry as a “hold down” tape and will withstand temperatures up to 400 degrees Fahrenheit. This tape removes cleanly without leaving a residue. 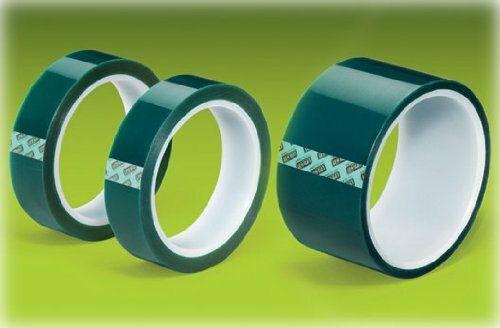 This tape is a PTFE film offered in thicknesses of .002″, .003″, .005″ & .010″ that will withstand temperatures up to 500 degrees Fahrenheit. 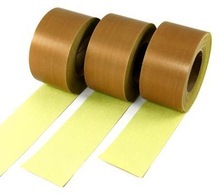 This tape is used on packaging equipment, heat sealing machines & roller wrap tape for plastic film extruders. 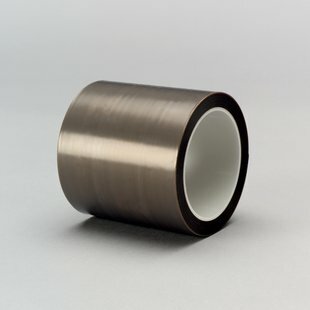 This tape is a PTFE coated fabric offered in thicknesses of .003″, .004″, .005″, .006″ & .010″ that will withstand temperatures up to 500 degrees Fahrenheit. 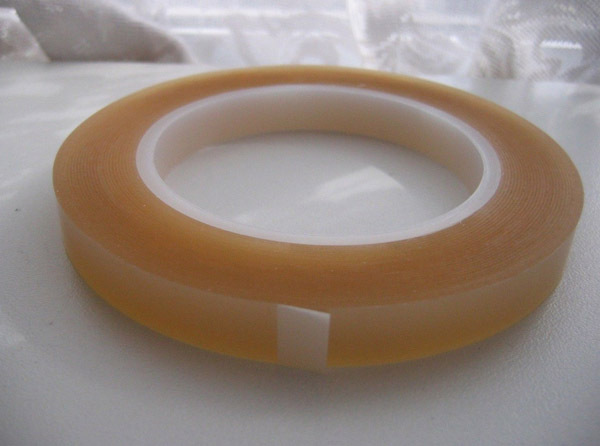 This tape is used on heat sealers, form-fill seal equipment and fenestration. 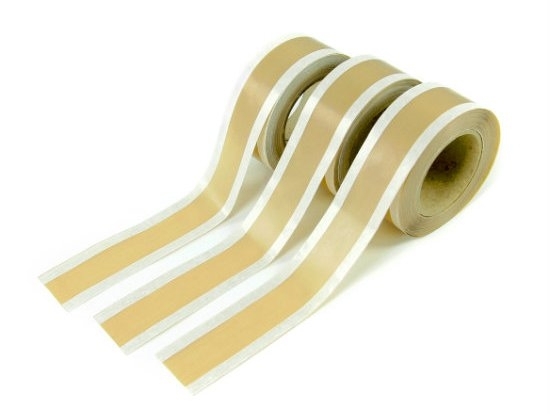 This tape is a PTFE coated fabric which has custom sized strips of Silicone adhesive on the outer edges leaving a non adhesive “free zone” in the center. This tape is mainly used for heat sealing where it is important for the heating element not to come in contact with the Silicone adhesive.